3 What is your opinion of the SUPERFOODS DAY as we organized it in our project? 4 What is your favourite activity of our project? (k) Having fun with our online games, activities,cartoons etc. 6 What were your main sources of information for your project work? 8 If yes, what other school subjects are linked to your e-twinning project? 9 What impressed you most in the project? 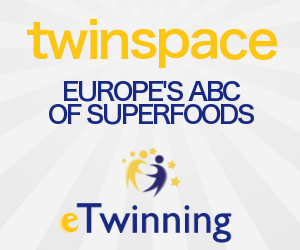 14 What subject of an e-twinning project might interest you?